Two years ago (I know it's a long time) we finally added some sheep to our fiber farm. Here are a couple of pictures from the Spring 2010 Lambs. The majority of our flock is registered Shetlands and we have a few Wensleydale as well. 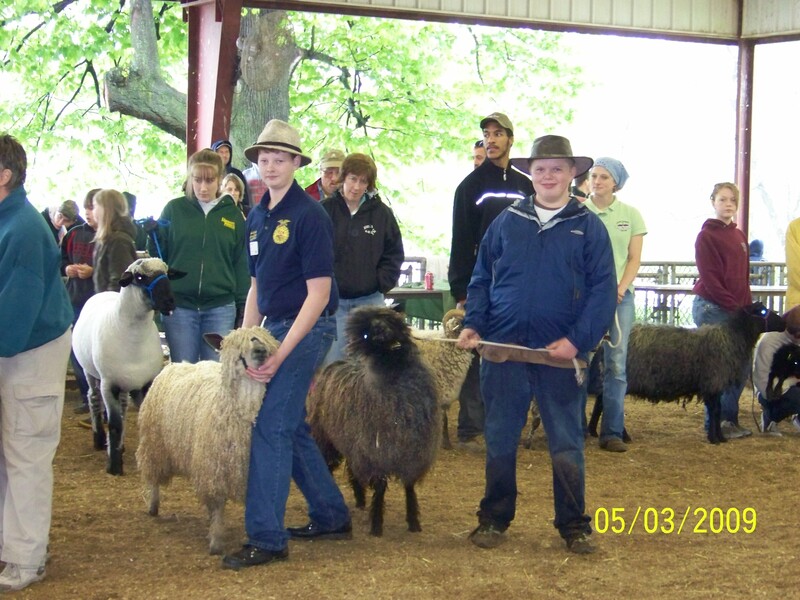 In 2008 our younger son was the recipient for the Shetland Breed at Maryland Sheep and Wool for their Youth Conservation Program. Eli with his yearling ewe, Imp. Imp had a single ewe lamb last year and twins this year a ram lamb and a ewe lamb. 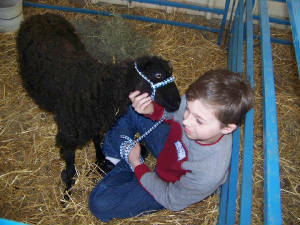 In 2009, our older son won the Wensleydale division for the Youth Conservation Program at Maryland Sheep and Wool.